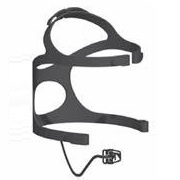 Fisher & Paykel have updated their headgear for the Flexifit 431. Original Fisher & Paykel headgear for their Full Face Mask. Extra Cushion: Please SelectYes, add SMALL cushion ($36) Yes, add MEDIUM cushion ($36) Yes, add LARGE cushion ($36) No, thank you.